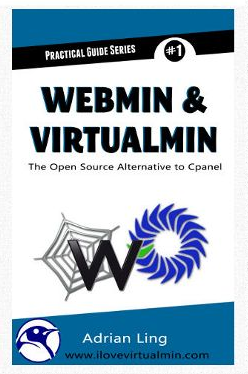 Webmin & Virtualmin is a powerful and flexible alternative to the commercial contol-panels such as Cpanel, Plesk, etc. It can do everything these commercial panels can, plus a lot more. You can create multiple “Server Templates” – which are essentially ‘boiler-plates’ for the virtual servers (i.e. what features or capabilities a virtual server should have). For example, you can create a server template that runs MySQL database, and another server template that runs PostgresSQL and perhaps another server template that runs ROR (Ruby on Rails). This feature allows you to create different hosting accounts (virtual servers) for different clients. Webmin also comes with built-in ‘self-healing’ capabilities – i.e. you can define what services to monitor (e.g. postfix, apache, mysql, etc) and if those monitored services are down, Webmin will run the command you specify to automatically restart them. Or you can specify a custom script to run instead of commands. This book will show you how to do all these and more. Note: This book is geared towards those who are not familiar with the Webmin/Virtualmin interface – especially if the reader comes from the Cpanel background. For example, in Virtualmin, a “sub-server” is known as the “addon domains” in Cpanel. Its these small ‘nuances’ that will trip the reader up. 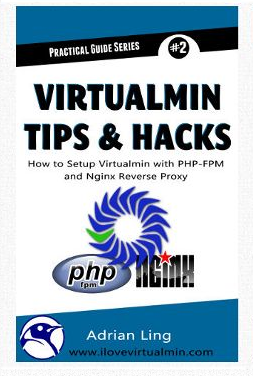 If you’re an experience Sys.Admin, you may want to check out my other book – Virtualmin Tips & Hacks – a practical guide that shows you how to fully automate PHP-FPM to run under its own userID in Virtualmin as well as automating Nginx reverse-proxy.